TA/Petro, Sapp Bros. and Coffee Cup Fuel Stop ‘banded together’ to raise over $200,000 for truck drivers in need of financial assistance around the holiday season. KNOXVILLE, Tenn. – Nov. 8, 2018 – This Thanksgiving, truckers around the country can be thankful for TA/Petro, Sapp Bros. and Coffee Cup Fuel Stop, three companies that came together to raise awareness and money for nonprofit St. Christopher Truckers Development and Relief Fund. Participating in the annual Band Together campaign, the companies raised over $200,000 for SCF, a nonprofit that provides financial support to semi-truck drivers and their families. Band Together ran from Aug. 15, 2018 to Sept. 30, 2018 at the fuel stop locations. During that time, all customers and employees who made donations of $1 received an SCF wristband, while donations of $5 resulted in a SCF keychain or window cling. Coffee Cup Fuel Stop raised $20,000; Sapp Bros. raised $20,500; TA/Petro raised $169,105.91. “We are always honored to have the opportunity to help drivers in need. We know full well it’s the patronage of our customers and employees, year over year, that assist these efforts. We couldn’t be more proud and thankful to them for their ongoing support,” said Barry Richards, President and COO of TravelCenters.All donations to the Band Together campaign went directly to SCF and will help provide financial assistance to ill or injured truck drivers. Assistance may be in the form of direct payment to providers for household living expenses, insurance, prescription drugs, and some medical procedures. SCF also provides health and wellness programs for drivers in hopes to prevent some medical illnesses. Some of these programs include health challenges, smoking cessation, and free flu, shingles and pneumonia vaccines. “The Band Together campaign, does just that – it brings our guests and our locations together for a cause that is close to our hearts: helping others. I see our teams eager to explain and talk about what St. Christopher Truckers Relief Fund does and who it helps,” said Jane Heinz, Director of Inside Sales, Coffee Cup Fuel Stops & Convenience Stores, Inc.
TA/Petro has been supporting drivers through the SCF since 2010. It is the 3rd year for Sapp Bros. and Coffee Cup Fuel Stop to participate. “We are happy to let you know that we raised $20,500.00 this year with the St. Christopher Truckers Fund Band Together campaign. Thank you to all of our customers banding together to help in this worthy cause. We are glad there is an organization like SCF to help out our professional drivers and their families in their times of need,” added Dan Adams, president of Sapp Bros. Travel Centers. As of September 2018, SCF has helped more than 2,400 truck drivers and their families with over $2.4M towards monthly bills, including mortgages and utilities. 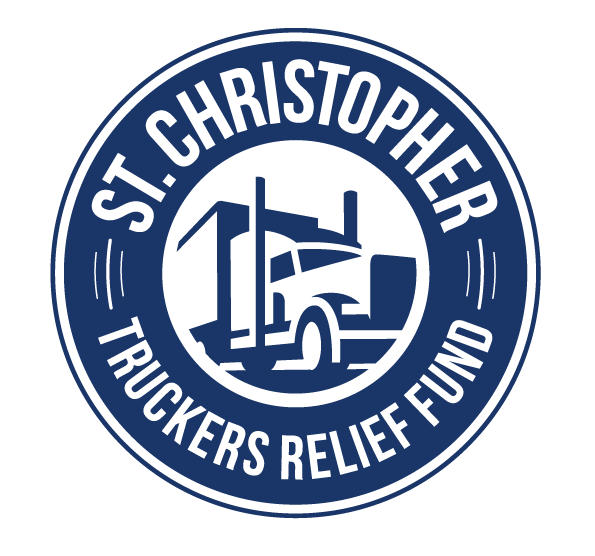 The St. Christopher Truckers Relief Fund (SCF) helps over-the-road/regional semi-truck drivers and their families who are out of work due to a recent illness or injury. Assistance may be in the form of direct payment to providers for household living expenses, insurance, prescription drugs and some medical procedures. The SCF also provides health and wellness programs such as free vaccines and smoking cessation. For more information, visit TruckersFund.org.